Here at ChiIL Mama, Laura has long been one of our favorites. We've done TWENTY features on her since 2009! We've also given away loads of her CDs over the years, caught her for a video interview, and shot stills & videos at lots of her live shows like this one from the Kidzapalooza party at The James Hotel (VIR-very important rocker breakfast 2012). Click here for some of our past original Laura Doherty coverage. 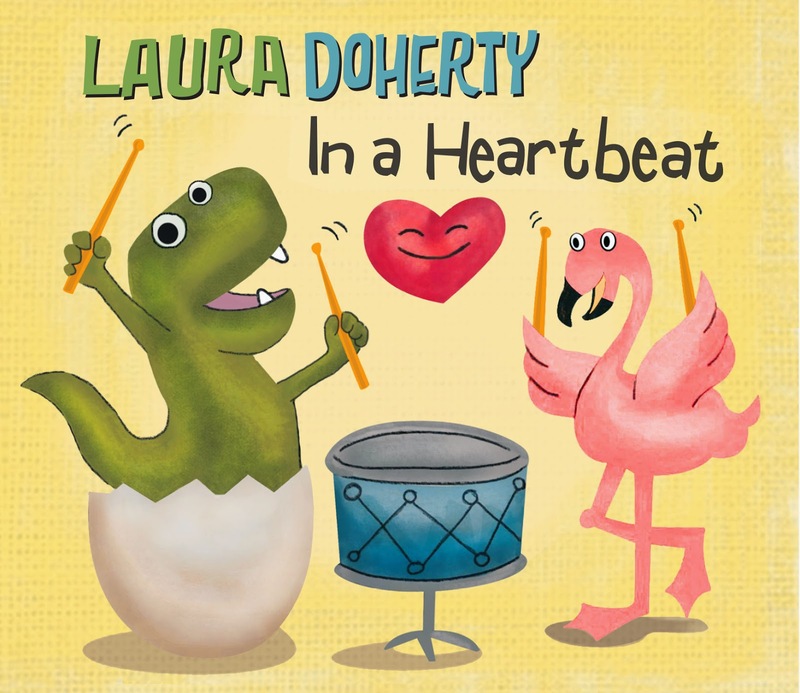 Nominated for "best Chicago kids act of 2012" in Time Out Magazine, Chicago’s pop-sweetheart Laura Doherty & The Heartbeats return to Schubas to perform songs from her new children's CD "In a Heartbeat", chock full of tunes that acoustically rock your kid's world with her signature breezy folk-pop sound! This CD is a follow-up to her award-winning "Kids in the City" (2009) and Shining Like a Star" (2011) records. "In a Heartbeat" brings characters alive in such songs as "Jazzasaurus"--the baby dinosaur, as well as "Domingo the Flamingo", and much more! Richard Milne of Chicago's WXRT Radio says "Laura is a pro in the world of children's music!"